Had this once at my friend's house and loved it so much that I had to replicate it on my own. Cooked twice so far for my family and for my cell group and they all loved it! 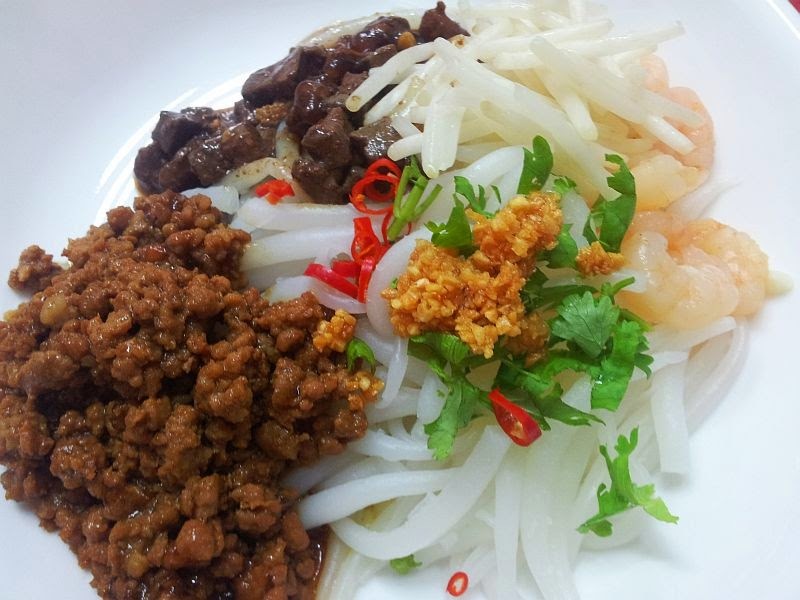 This dish is easy to cook but the difficulty is on the preparation. So what I do is to prepare what I can prepare first so that on that day itself, I do not have to rush. I know most people would squirm at the sight or mention of liver. But it is a good element to add as I feel it adds a good twist, richness and depth to the flavour profile of the dish. Anyway, this special dish is self-served. So leave it to your guests or family to choose what they like to add to their plate. 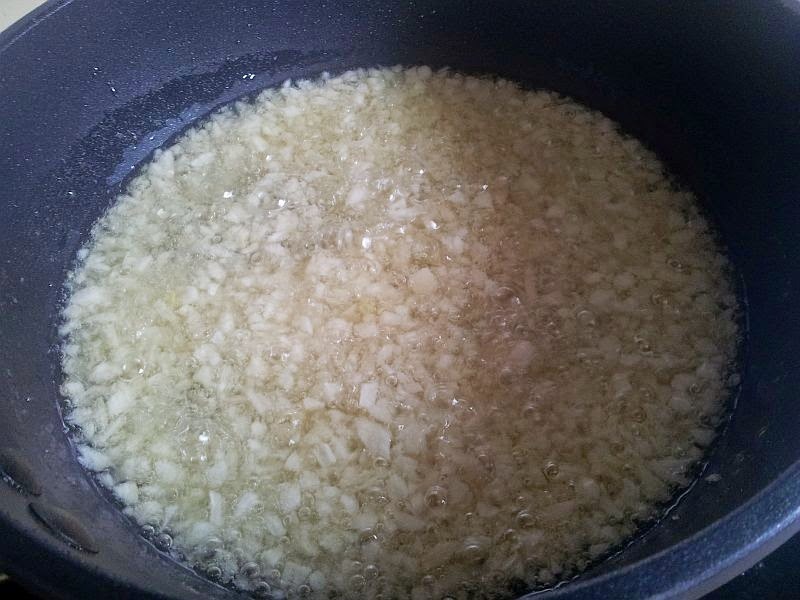 1) Minced garlic and fry it in pan. Put just enough oil to cover the garlic. Cook in low fire and stir continuously so that it won't brown up unevenly. 2) After the garlic turned golden brown, quickly off the fire, drained the oil and spread the fried garlic on a paper towel to cool down. Once cooled, put in airtight container and leave in fridge. 7) Peel the bean sprouts. For it to look nice, you can remove the front and back of it. Blanch it in hot water. 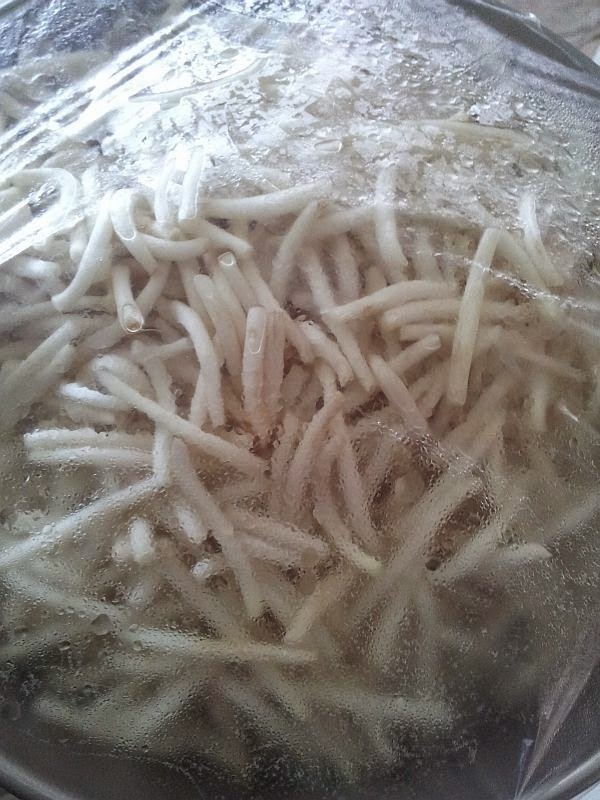 10) Boil the bee tai mak, strain it and set aside. Don't overcook it. 11) I used the leftover garlic oil to cook the minced pork and liver. Add the marinated pork to the frying pan with oil. Add water to dissolve the pork so that it do not clump together. Finally add flour with water to thicken the gravy. 12) Fry up the liver. I actually added few slices of ginger and spring onions for the taste of liver. So that the smell and taste of liver is not that strong. Up to you. Taste it. Adjust it according to your preference. In the end, just serve everything separately for the guests to add. Just remember that there are 9 components to this dish, just in case you accidentally left out something or forgot to bring. Then, tell your guests to mix it up properly! Frankly speaking, this is a very well-balanced dish with spice, sour, salt, sweet. 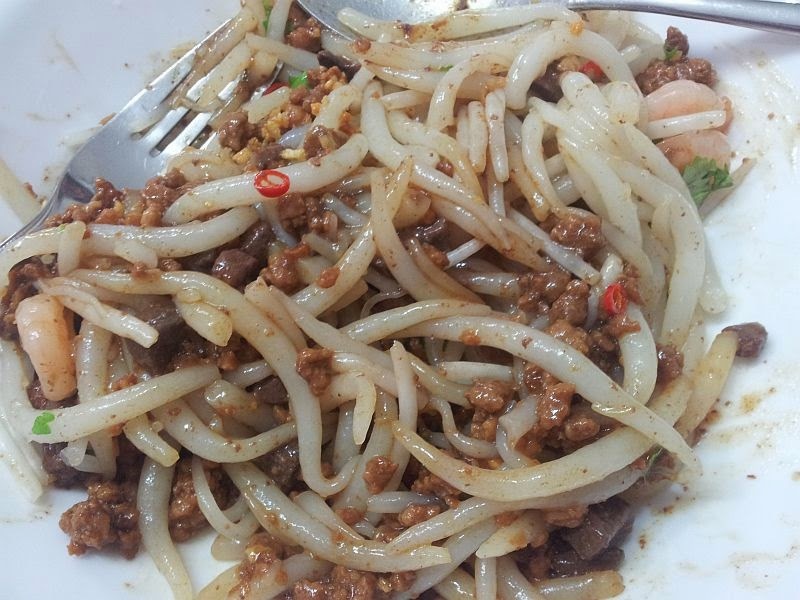 Texturally it is also perfect with the crunch from the fried garlic, prawns and bean sprouts! Enjoy this unique dish! Do give me any comments once you have tried it!